“Think large.Live your dreams. Be a role model and come together to make Nagpur the best centre,” exhorted Grand Master-elect of Grand Lodge of Ancient, Free and Accepted Masons of India Rajeev Khandelwal, while delivering his keynote address at the Masonic Lodge, on the occasion of Universal Brotherhood Day (UBD), on June 24. Present on the dais, besides Khandelwal, were Organising Secretary Shirish Sagar, President Prashant Kanitkar, K K Medora, Kshitij Dharmadhikari, Govindlal Shahu. 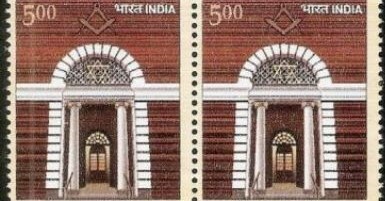 Medora, in his address reminded the Masons of the words of Swami Vivekanand uttered in his famous speech at Chicago and said that the significant characteristic of a Free Mason’s heart was charity. Earlier, Secretary Shirish Sagar welcomed all the guests and UBD members. He also welcomed the chief guest R R Khandelwal Grand Master-elect of Grand Lodge of Ancient, Free and Accepted Masons of India.